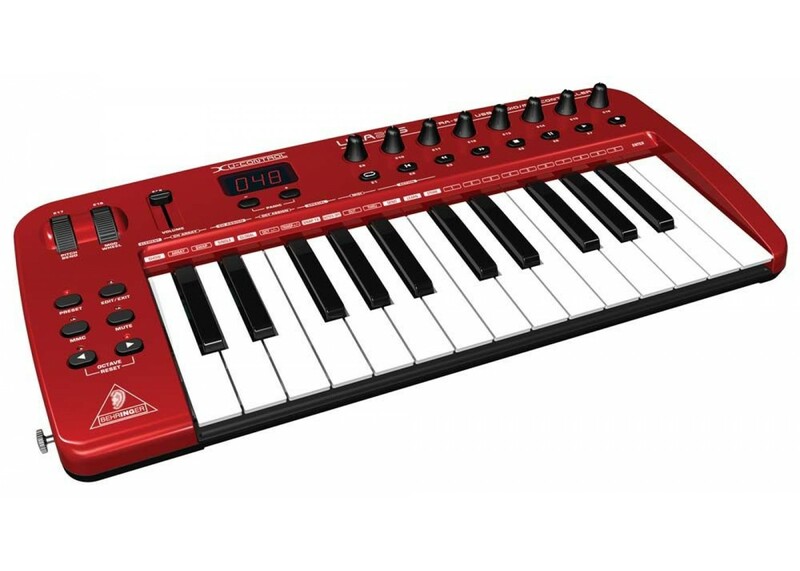 With it's slim, contoured shape and bold red color, the UMA25S is eye-catching - and for good reason. 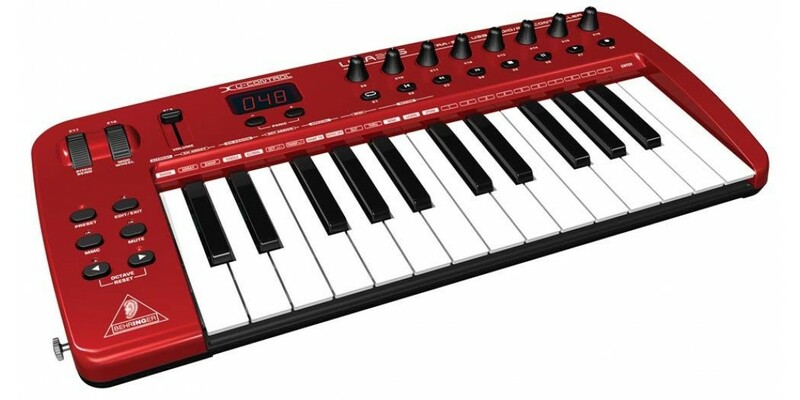 Behringer have conceived a truly remarkable MIDI controller (with USB) at an extremely low price point. It comes with software, headest microphone, guitar strap for key-taring and a carrying case.